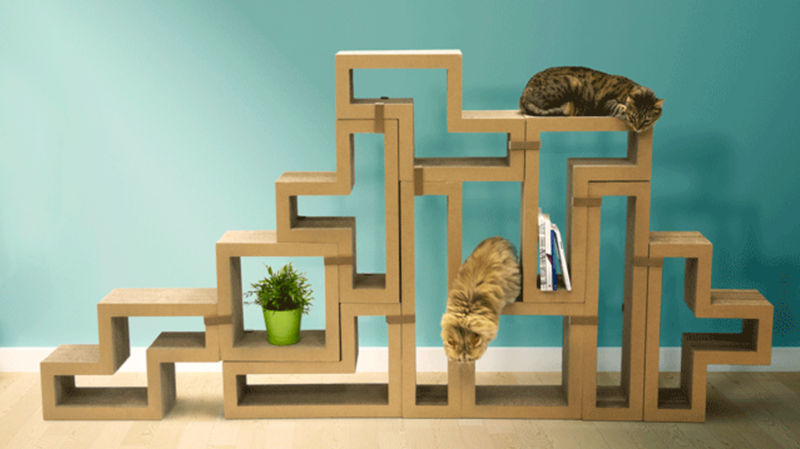 Put on "Korobeiniki" and watch your cats dart in, on, and around Katris—the Tetris-themed modular furniture that doubles as a feline tree and scratcher. This set can be assembled and reassembled using reusable clips to fit a range of spaces and styles. Each piece is made from durable, recyclable cardboard and can withstand over 300 pounds of force. Even if you don’t have a feline friend of your own, Katris can make unique, customizable storage for books, shoes, and other human-exclusive items. And if you do share your home with a cat, this could finally be a coffee table you won’t mind getting scratched up. You can buy your own set from Amazon.